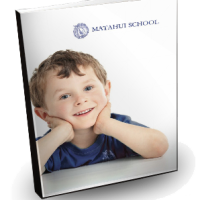 Welcome to Matahui School – an Independent/Private primary school in the Western Bay of Plenty District. We are a small rural school located between Katikati and Tauranga. Our independent status and small class sizes enable us to offer a challenging and nurturing learning environment. Our unique award winning outdoor education programme creates rich learning experiences to shape strong future leaders. We focus on building individual talents and self-esteem so all our students develop into self-assured incredibly special people! Matahui School is not your typical school. It is a school where children are encouraged to climb trees; a school where children participate in “experiential, hands-on learning”. A school with a warm, friendly and non-judgmental culture. Rather than trying to fit students into a system – we have designed our school systems around students needs! The end results speak for themselves. If you want the very best education and future for your child Matahui School is the best choice! The small class sizes and the friendliness of other children at Matahui School is totally unique.”.